Hello, my name is Ashley Brooks. Myself, my husband, Cody, and our family have been a part of TLC Learning Center now for almost eight years. Our introduction to TLC came with the birth of our first child. We were a young couple, very excited to be parents, and my entire pregnancy and delivery had really gone wonderfully. 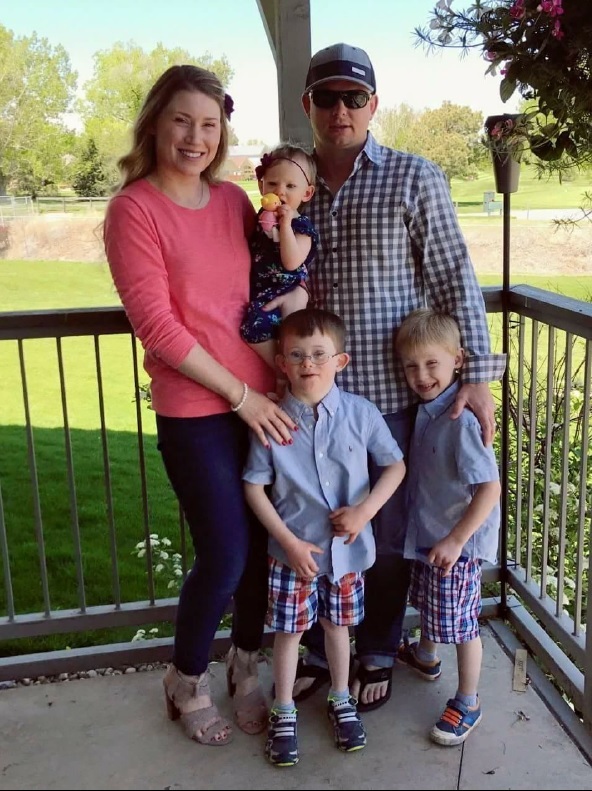 About two hours after Caden was born, while we sat staring at the little person we had created, a dozen or so people came filing into our hospital room, very serious. As our doctor came and gently sat on the edge of the bed, everyone else seemed to back up against the walls, and my heart sank into my stomach. I can’t remember every detail of that moment anymore, but I can remember exactly how I felt. The room had lost air and I looked at my son’s face, searching for what could possibly be so terribly wrong. 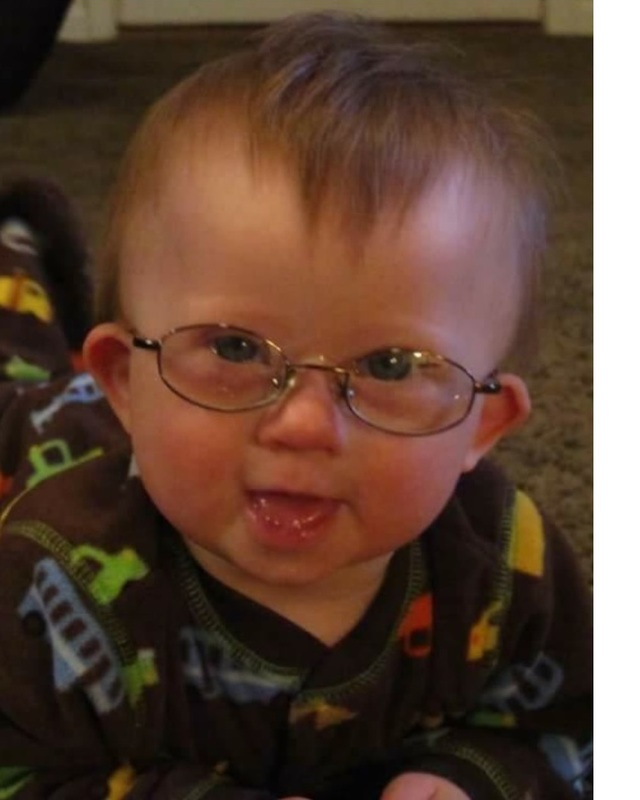 So you can imagine my relief when the doctor quietly informed us that they believed Caden had Down Syndrome. Relief perhaps isn’t quite the right word, as the shock and confusion and fear were palpable, for sure. But perspective saved me then and continues to save me today: I didn’t know all the details yet, but at least our son was going to be ok, and that was enough. 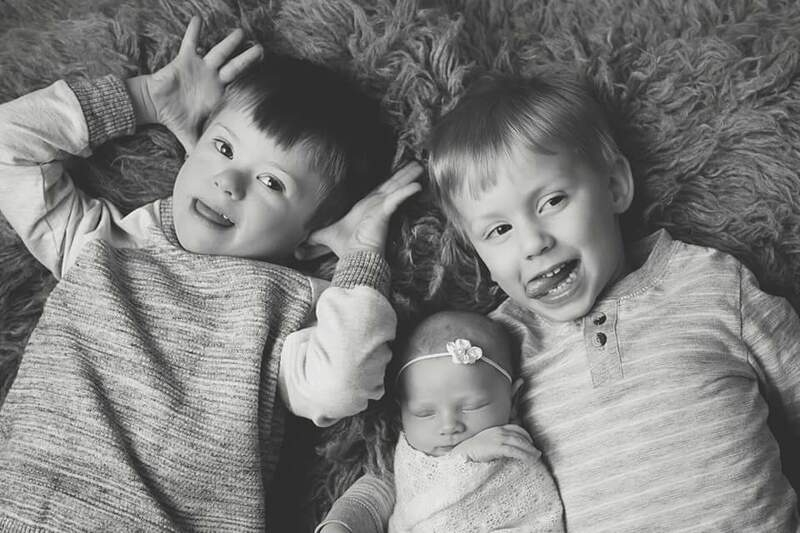 As my husband looked calmly but tearfully at the doctor and said, “He’s our son, and we love him,” our journey as parents began with a bang. Any new parent can relate to the feeling of being thrust into an unknown world, our world was just a little more unknown than we had anticipated. But while we had been dealt an unexpected hand, we would not be expected to play it alone. Because you wouldn’t believe the people that just start showing up. Within a few days we had met with coordinators from Imagine!, Early Childhood Intervention, Rocky Mountain Down Syndrome Association, our local support group chapter, and in a moment of extreme grace and fortune, our first encounter with TLC came in the form of a petite yet powerful occupational therapist named Shari Karmen. 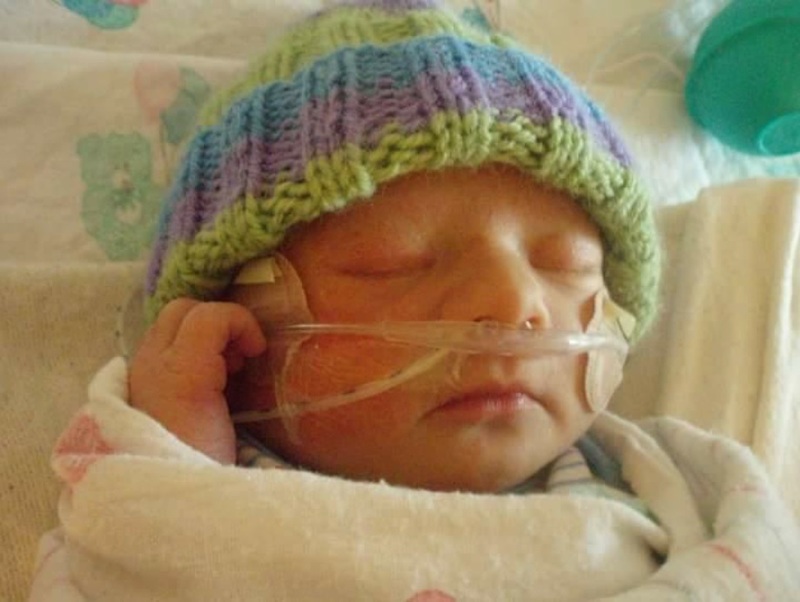 Shari had been assigned to Caden during his NICU stay, which ended up lasting 26 days. The first thing I noticed about Shari was that when she spoke to me, there was no sympathy in her voice. And that was astounding. You see, when the newborn stats don’t end with a “perfectly healthy” baby, people tend to not know what to say. You receive a lot of thoughts and prayers, but not as many congratulations. To put it bluntly, There’s a general lack of joy. And everyone has a note of sympathy in their voice. But Shari didn’t. She laughed at his crazy Mohawk. She oohed and aaahed over his cute baseball jammies. She celebrated his birth and each accomplishment he made afterward with us. And she assured us that everything was going to turn out alright. And I believed her. 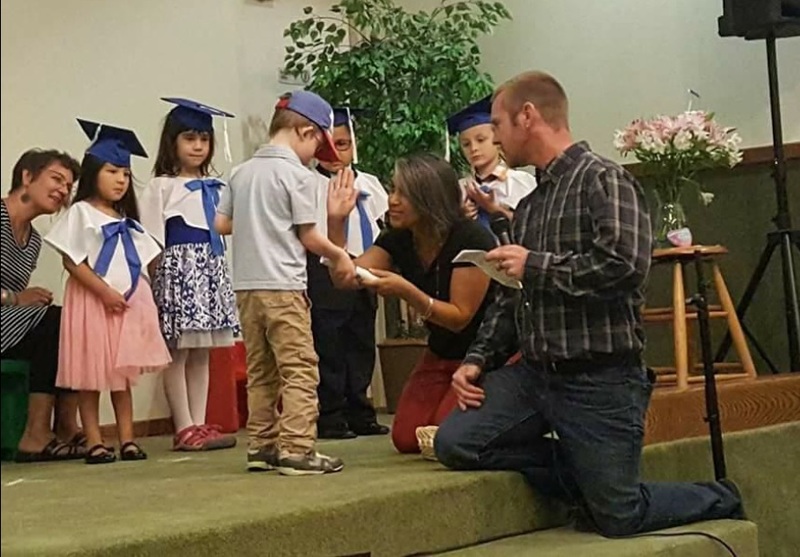 Caden entered preschool at TLC when he was two-years-old, and for teachers, he was blessed with the greatest angels on earth to ever educate little people, Ms. Mary Beth and Ms. Kathy. They would hold him, love him, and guide him for three of the four years he spent learning at the center, all but the one he spent receiving the best hugs ever from Ms.Tavita. Caden thrived in preschool, and we thrived seeing him grow and gain in such a wonderful, supportive environment. And a couple years later, his little brother Greyson joined in on the fun, and now, today, our littlest little Lyla is holding court as the hostess with the mostest in Ms. Cindy and Julie’s class. Now, all schools are special I think, because anyplace where there are massive amounts of little people and a few hardy souls willing to wrangle them all day long is amazing. Add in the huge range of unique circumstances and challenges that teachers and administrators and therapists at TLC face each day, and their dedication is nothing short of miraculous. But they’re onto something. They know that amongst the plethora of challenges is the singular joy that comes only from a child, any child, although there are few things in this world that are more joyful than the special moments created when a child who is different than others achieves something. That something may be big, like finally walking at 2.5 years old, or it may be smaller, like drawing a picture of a water buffalo that actually kinda sorta looks like a water buffalo for once, but the joy is astounding regardless. Everyone at TLC understands that joy. And that’s likely what keeps them coming back day after day, year after year… that, and the fact that we need them so. Because we do need them so. Years ago, before places like TLC existed, children like mine, children with disabilities and delays and differences had nowhere to go. And even today, with all that we have accomplished, our children still face huge challenges. A quick phone call to many daycare centers and preschools will reveal that they are unequipped or, worse, unwilling to care for children with special needs. These children and their families need quality care and education options. A place that is not only willing to take ALL children but dedicated to taking ALL children. A place where every employee is highly trained and experienced and willing to learn more if necessary. And TLC is that place for our community. Caden graduating from TLC Learning Center; he still visits TLC for pediatric therapy and will until he's 12 years old. And why is that important? I hope I’ve helped you understand why TLC is so important to MY family, but why is it important to yours? A school like TLC does a few things. First, it solves the massive problem that families like mine face when searching for childcare and early education. TLC gives our children the best possible start from birth to age 5, which research shows is the most critical stage of development in human brains. This positive start will help every child who passes through TLC grow into a more accomplished adult, with a greater capacity for success. TLC’s inclusive environment also helps to create caring and kind humans. Typically developing children attending preschool here will not only benefit from the top-notch education and social development, but also from the experience of sitting side by side with people who are different from them each day while they learn and grow. Those benefits extend over to the families of the students, as they learn to be more comfortable and compassionate. And the more kind and open-minded citizens we have in our community the better. And finally, it’s because deep down we all want to live in a place where neighbors care about each other, our economy is thriving, our needs are taken care of, we’re happy, and everyone is contributing to this picture. But we don’t accomplish this by pretending as if people who are different don’t exist. If we marginalize and exclude those who aren’t useful to us, what happens if we ever find ourselves or someone we love in a similar position? Surely there’s a better way. And the hallways of TLC are the prototype for that way. Everyone working together, playing together, and learning together for the betterment of everyone involved. If we want every member of our community to contribute to society, then we as a society must contribute to the education and inclusion of every member of our community. And with enough dedication and optimism, I believe we can continue to make progress and continue pursuing the dreams that originally inspired the creation of this school. Thank you for supporting TLC Learning Center! When you give a gift to TLC, you aren't just supporting a center or a program, you're supporting real children with stories, challenges, and goals. Caden's is one of the over 200 children TLC serves annually with early childhood education and pediatric therapies. We hope you'll consider a gift to TLC today to help us continue to provide high-quality services to these and all of our children. If you've already given - thank you!! You'll receive a tax credit form for the Colorado Childcare Contribution Tax Credit for the 2017 tax year in the coming weeks. This credit means you'll get up to 50% of your gift to TLC back when you file your taxes. Figures in the table are based on a 33% Federal and 4.6% Colorado state tax bracket. This information should not be construed as tax advice. Please consult your tax advisor as individual tax situations vary. 100% of the credits you have accrued from donations for tax years 2017-2019 will be claimable. The tax credit is limited to donations up to $200,000.00 per year. The credit allowed shall not exceed the tax liability for the year. Any excess credits may be carried forward for up to five years. In-kind contributions, including stock, property, or any non-monetary donations, are not eligible. Donate easily and securely for Colorado Gives Day here.